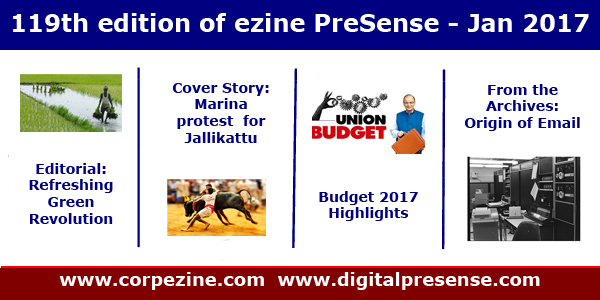 We are pleased to release the 119th (Jan 2017) edition of ezine PreSense, broadly with the following contents. Editorial : Susan Koshy emphasises the urgent need for focussing on Agriculture and Rural segment. Cover Story : K. Srinivasan writes on the recent unprecedented 'Pro-Jallikattu Protest' by the students at Marina Beach, which forced the State Government to issue an ordinance permitting Jallikattu in Tamil nadu. He writes on the Lessons learnt out of this protest and the role of TV media and social media in creating more havoc. Nation: K. Srinivasan and Susan Koshy write on the Union Budget 2017 and the deviations from the conventions. From the Archives of Jan 2011: Interesting facts about the origin of email. Cartoons : Triambak's Prince cartoon on President Trump. We are confident that you will continue to enjoy this ezine. Please share your feedback to us at editor@corpezine.com. 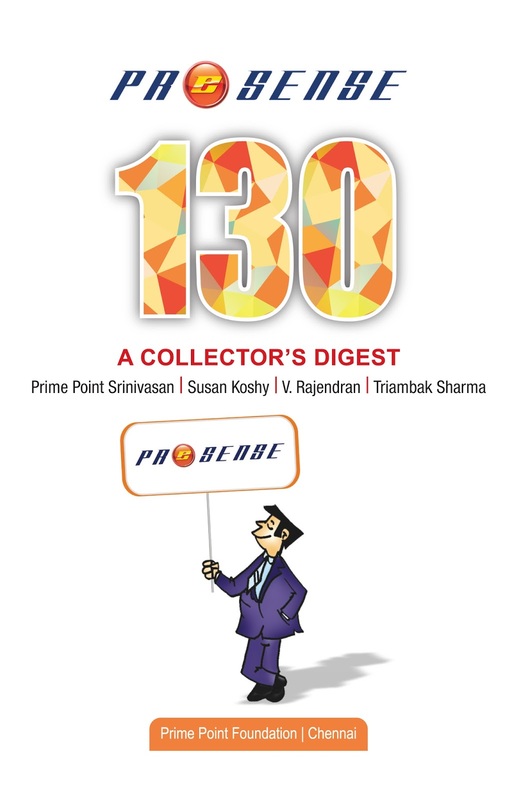 Please keep visiting our Portal www.digitalpresense.com for regular updates on various topics. We also invite Guest Editors for this portal.